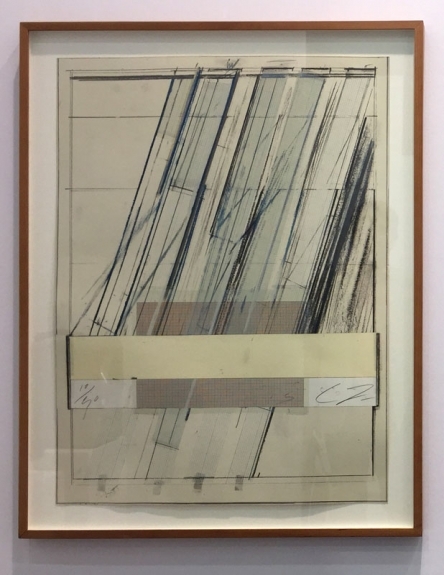 Untitled, 1973 Lithograph, grano-lithograph and collotype White mould-made 100% rag paper 30 x 22 inches (76.1 x 55.8 cm) Edition of 90 The edition is signed in pencil with initials numbered (ed. no.) by the artist recto lower right below the image Editor: Heiner Bastian, Berlin Printer: Matthieu-Studio, Zurich-Dielsdorf Publishers: Ullstein Verlag, Frankfurt a.M., Berlin, Vienna and Pantheon-Presse, Agno Switzerland Note: The print is a contribution to one of the six portfolios entitled “Homage a Picasso” published between 1973 and 1975 in honor of Pablo Picasso's ninetieth birthday. The six portfolios included the works of 69 artists.